Our 100% online OSHA 8 Hour HAZWOPER Training – Supervisor (Initial) course is a one-time requirement for supervisors of HAZWOPER employees. Supervisors should complete this course after taking the initial OSHA 40 Hour HAZWOPER training (for supervisors of 40 Hour workers) or the OSHA 24 Hour HAZWOPER training (for supervisors of 24 Hour workers). 8 Hour HAZWOPER Supervisor Refresher training is a separate course. This course meets the Federal OSHA HAZWOPER training requirement for 29 CFR 1910.120(e)(4) and 29 CFR 1926.65(e)(4). Our online OSHA 8 Hour HAZWOPER Training – Supervisor (Initial) course is designed for supervisors of HAZWOPER employees who need to meet the Federal OSHA HAZWOPER training requirement for 29 CFR 1910.120(e)(4) or 29 CFR 1926.65(e)(4). The course is a one-time requirement which should be completed after taking the initial OSHA 40 Hour HAZWOPER training (for supervisors of 40 Hour workers) or the OSHA 24 Hour HAZWOPER training (for supervisors of 24 Hour workers). View a 8 Hr HAZWOPER Supervisor (Initial) Detailed Course Outline below. Trained Supervisors need to take the OSHA 8 Hour HAZWOPER Refresher or an OSHA 8 Hour Supervisor Refresher in order meet the OSHA refresher training requirement. This Initial Supervisor course cannot be used as a substitute for refresher training. More information on this topic is available through our HAZWOPER training requirement Infographic or the OSHA Website. 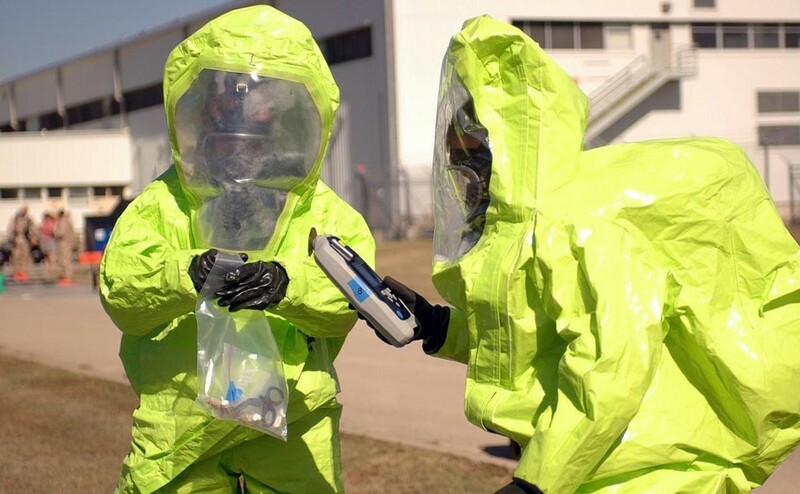 With HazMat Student’s Online 8 Hour HAZWOPER Supervisor (Initial) course, you will gain knowledge through training that works with your busy schedule. Take the course at your own pace and save your progress as you go. Audio narration, visual text, photos, and interactive quizzes help keep you engaged and helps reinforce the training. The presented material prepares you for success on the course exams. You will also be provided with a downloadable manual to use for note-taking during the course and as a resource for reference after the course is completed. See the adjacent sample page from the Student Manual. Compliance evaluation | Legal interpretations | Compliance options | Penalties. Management and leadership | Actions | Safety health policy | Visible leadership | Employee involvement | Accountability | Program evaluation. Investing in safety and health | Injury and illness costs | Direct vs. indirect costs | Benefits of a safety and health program. Requirements | HAZWOPER specific elements | Hazard identification and assessment | Hazard prevention and control | Information and training | Evaluation of program effectiveness | Multi-employer workplaces. Emergency plan definition, contents and characteristics | Employee training | When to initiate the emergency response plan. Determining training needs, goals and objectives | Developing learning activities | Conducting the training | Evaluating program effectiveness | Improving the program | Identifying and training employees at risk. Elements and need for medical surveillance program | Kinds of medical examinations | Treatment | Recordkeeping. The need for PPE | Contents of a PPE Program | Determining PPE needs | Choosing the right PPE | Maintenance and replacement of PPE | Employer and employee responsibilities. Eye and face protection | Head protection | Foot and leg protection | Hand and arm protection | Body protection | Hearing protection | Respiratory protection. Purpose and format of a spill containment program | Preventative spill containment | Responsive spill containment. Causes of heat stress | Elements of a heat stress program | Preventing heat stress | Responding to heat-related illness. Confined space definition | Elements of a confined space program | Controlling hazards | Contract employees | Entry permits | Worker training | Assigned duties | Emergencies. Needs and benefits of hazard analysis | Hazard analysis methodologies | Job hazard analysis (JHA) | What-if checklist | Hazard and operability study (HAZOP) | Failure mode and effect analysis (FMEA) | Fault tree analysis | Resources for other hazard evaluation procedures. Leadership terms defined: Manager, management, and supervisor | Hiring and firing | Budgeting | Responsibilities | The effective supervisor | Technical knowledge, experience and skills. What is job stress? | Causes | Health impacts | Stress management | Organizational change | Developing a stress prevention program. Consequences of overworking employees | Benefits of good schedules | Scheduling methods to prevent accidents | Working alone, precautions, and questions to ask. Drug free workplace policy and guidelines | Crisis situations | Performance problems | Intervention and referral | Protecting confidentiality | Enabling and other supervisor traps. Supervisor training requirements | Supervisor responsibilities | Program goals | Program formatting. Federal OSHA HAZWOPER training requirements of 29 CFR 1926.65(e)(4) for Construction. Designed by Certified Outreach Trainers, this HAZWOPER supervisor training online course includes up-to-date, high quality training created with your safety and learning as our top priority. The course features interactive training modules, which combine full narration and visual elements for maximum retention. The course is completed entirely online using a computer with an internet connection and is available 24/7. For your convenience, it can be completed over time through our state-of-the-art Online Training System (OTS), and your progress will be saved to the last section completed. Students are given 6 months to complete the course after enrollment. We are so certain you will be satisfied with your experience, that we offer a 100% Money Back Guarantee*. This course includes 3 exams. One exam must be taken after the completion of each of the 3 modules. Each exam consists of 20 questions, which are randomly compiled from a large pool of possible questions. 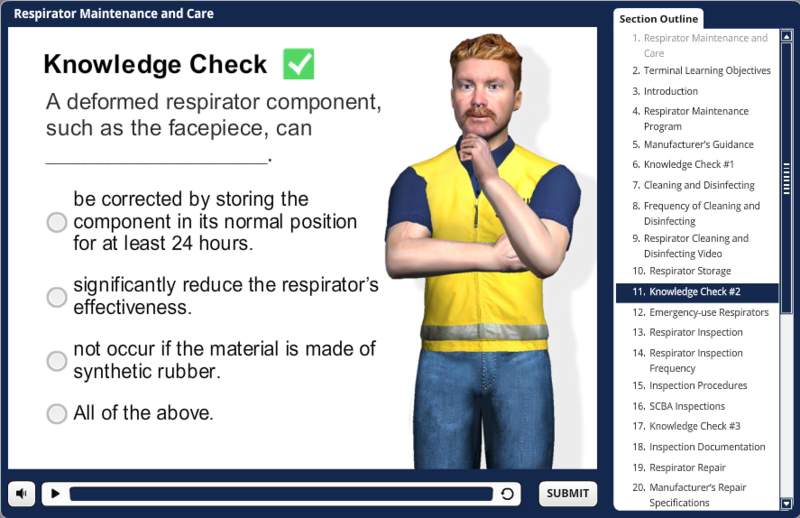 This online HAZWOPER Supervisor training course consists of 3 modules, which include 19 sections that must be completed sequentially through our premier Online Training System (OTS). The sections are fully narrated and interactive. Quiz questions within each section help the student retain knowledge that will be needed for the module exams. This OSHA Supervisor training course was designed by Certified Outreach Trainers and is OSHA accepted. The course meets the Federal OSHA HAZWOPER requirements 29 CFR 1910.120(e)(4) and 29 CFR 1929.65(e)(4). During the year a general hazardous waste site worker will be become a supervisor, OSHA expects 8 hours of management and supervisory training as well as 8 hours of employee refresher training. HAZWOPER requires supervisors to receive training and supervised field experience equivalent to the level of their employees and at least 8 additional hours of specialized training as described in 1910.120(e)(4). Please note that this OSHA HAZWOPER training course provides valuable hazardous waste operations and emergency response training information which applies to a general population of workers. This course is not meant to replace company-specific or function-specific training provided by your employer on equipment use and procedures for your particular work environment. If a worker is going to use protective equipment or PPE on the job, they must be trained on proper use of the equipment prior to use. You must be trained by your employer on the hazards, equipment, engineering and administrative controls, safe work practices, policies and procedures and emergency plans specific to your role and workplace.